Some Forefront members are going through the Bible in a year. 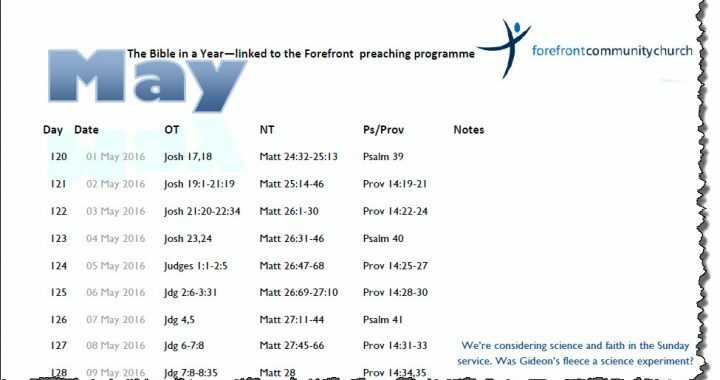 Our guide is unique as it is tailored to our preaching programme, helping you read the books about which we are preaching, week-by-week. The notes for May and June are now available. It’s never too late to start! We’ve put the dates on the list in pale grey, so you can ignore them and start anytime! Get started by downloading the January-February notes, and continue with March-April. ← The joys of coffee!